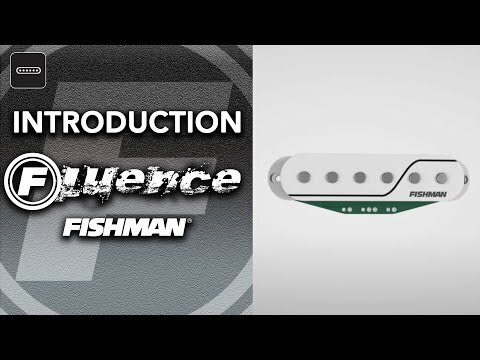 Product Overview Original and totally re-imagined, Fishman Fluence pickups are free from the hum, noise and frustrating inductance issues that plague even the most coveted wire-wound pickups — revealing pure, uncorrupted and musical tone. The vintage neck humbucker tone we all love, combined with the up-front dynamics only Fluence can deliver. This pickup features two classic voices: Strong, “calibrated PAF”, and the hot rodded tone that redefined lead guitar — all in the same pickup. • Are Multi-Voice. Set and forget, or wire-up to toggle between two musically complimentary voices. • Drop right in and replace standard humbucker pickups. • Are rechargeable on your guitar. Optional lithium-ion battery pack offers weeks, not hours, of playing time.